BLACK LIES MATTER! (BLM) – A Distraction! | Just my opinion! We ALL have an opinion why this is happening, especially now! MINE follows the content of this Blog! Today we turn on our TV it the news makes us shake our heads in disbelief! People getting shot for being STUPID, the ‘public’ attacking the police, AND a ‘President’ that has NO CLUE REGARDING WHAT IS GOING ON!! OR DOES HE? From the beginning of his Presidency Obama has shown us that he is using the top office in our land to push a RACE BAITING agenda! Every time there is an incident that involves a black man, Obama makes a STUPID remark BEFORE THE FACTS ARE KNOWN! In MY humble opinion – The ‘man’ is directly responsible for creating the domestic terror group “BLM”! HE alone is responsible EVERY TIME A COP IS AMBUSHED AND MURDERED OR WOUNDED!! We are fortunate that there are Black men and women that fully realize what this group of thugs really stand for and aren’t afraid to voice their opinion! It is SAD that so many LIBERALS choose to ignore what is happening and just fall for the garbage being spouted by Obama, his Administration AND the liberal media! There are millions of good, hard working Blacks in our country that just want to take care of their families, raise decent children, get along with their neighbors and enjoy life. It is a ‘chosen few’ that can’t handle something so simple and choose to cause problems for the rest of their people and our Country. You MIGHT ask – why now? Our Race Baiting President has played the ‘dumbass’ for years, why is it coming to a head NOW?? Open your eyes my friends – the REASON is looking over your shoulder! YES – the Democrats are out to elect a CAREER CRIMINAL to replace the FAILED lying ‘organizer’ AND they need a DISTRACTION! 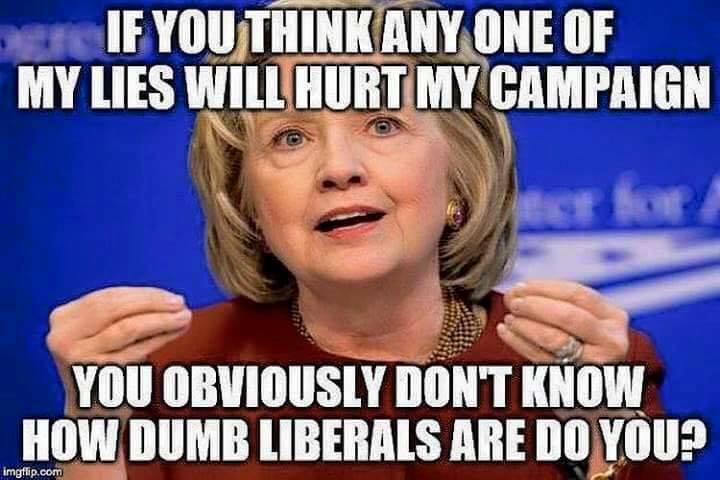 They want YOU to FORGET what Killary has done during her life, FORGET that she is an accomplished liar, FORGET that she takes MILLIONS of dollars from country’s that ignore the rights of women AND their own citizens, FORGET that her Family (a den of crooks) have a ‘foundation’ that steals from everyone so they can line their pockets! The LAST election they used Benghazi and a bogus video to hide the truth that would given Obama a ‘black eye’ today it’s worse – they are using their lies and the LIVES of our police to distract you from the fact THAT HILLARY CLINTON WOULD FINISH THE DESTRUCTION OF AMERICA THAT OBAMA HAS STARTED!! !